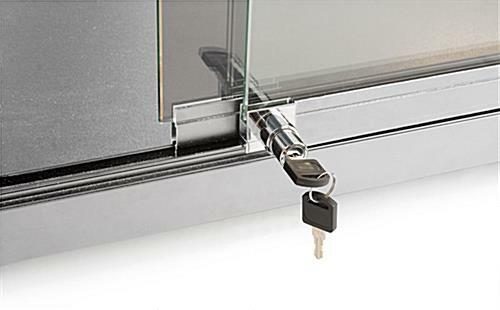 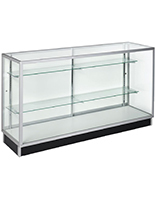 This tempered glass retail cabinet keeps valuable merchandise and collectibles safe behind a sliding lockable door. 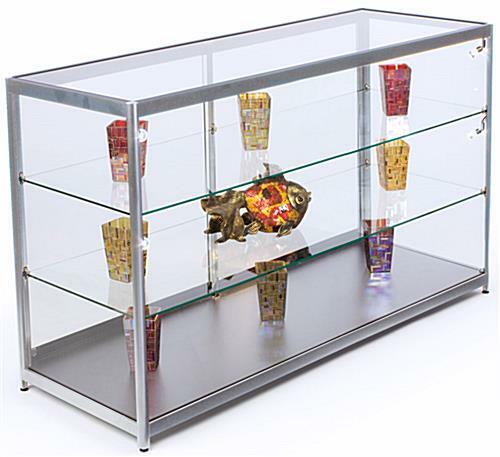 This showcase display is a store fixture with an anodized aluminum base that contains a storage compartment for overflow products. 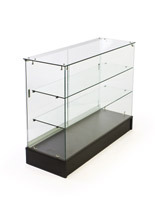 Stocking and re-stocking has never been easier! 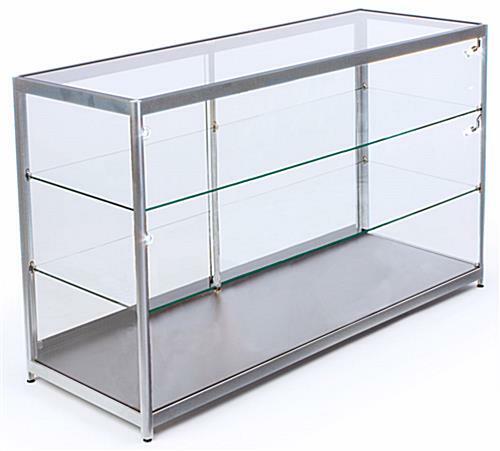 This counter for retail has a streamlined, modern look with unobstructed viewing of the cabinet contents. 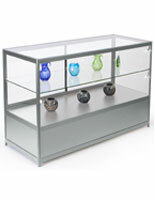 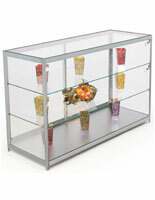 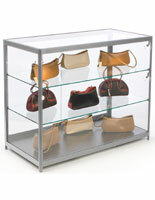 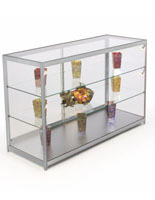 Purchase this two shelf counter alone, or in a compatible grouping to seamlessly outfit an entire showroom. 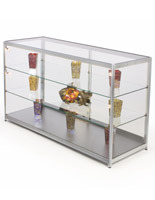 A minimal frame and soft LED lighting make this modern cabinetry the perfect showcase for collectibles in boutiques, jewelry stores, and museums. 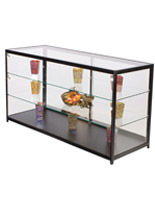 71.0" x 35.0" x 22.0"